You searched for which does not fit your . We've redirected you to 104-825, which has the proper fitment. LOVE this helmet! Matches the Ultra perfectly. Quick delivery from J&P. Best of all is the locking mechanism. No more threading the strap every time. It has a quick click on a quick release to come off. Didn't even know this when I ordered it. Get one! Helmet looks nice, but is a little too bulky. Fit is a little too snug. Nice that it has a tinted visor that is retractable, but there are holes (one on each side of the visor) that allow air to come in. When driving (especially since I had no windshield? ), the air from the holes hit my eyes, making it very distracting while driving. Great helmet, actually matches my Road King perfectly. wife liked it so much ordered her one. Thanks J&P glad I found you definitely will be more business in the future. Very nice helmet, finish is outstanding! Almost perfect match to color on my Honda PCX150. Great bargain. Great product and a perfect match to my bike, however... double check your head size with a tape measure. I typically wear a 7 1/8 in every hat that has a sizing. 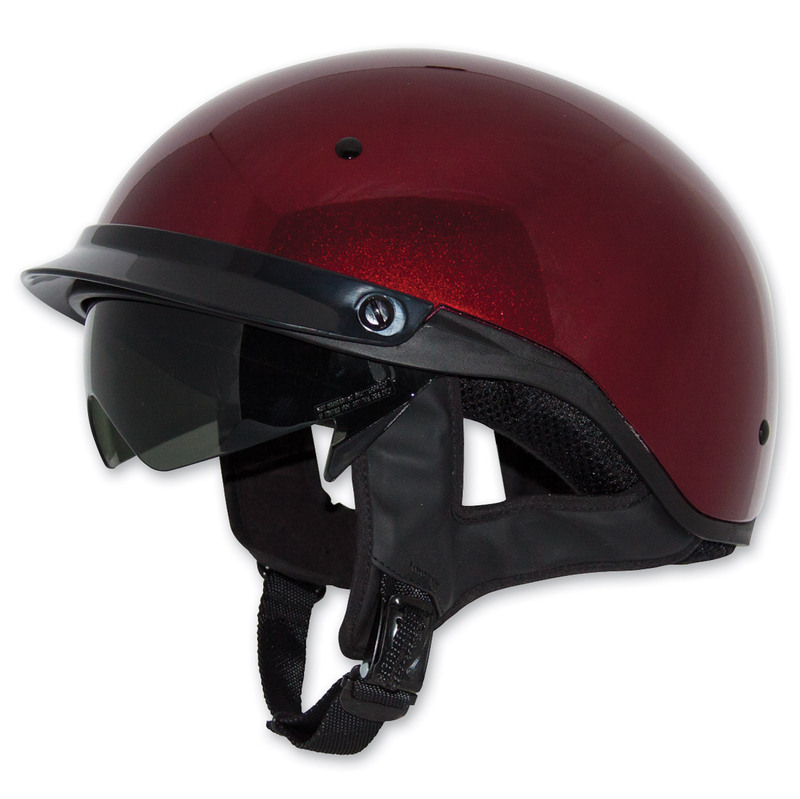 I bought this helmet based on the chart provided. The helmet shows a M size tag but this is the biggest M I have ever seen. I can almost spin the helmet around my head. These helmets are awesome. They fit great and love the flip down visor.